Today, I want to open both your eyes and ears towards an upcoming live chats on Twitter about and with celebrities on all sorts of entertainment niche. One of the pillars that holds any successful industry is the “Channel of Distribution” that is, the mutual relationship and engagement between the manufacturer (Producer), product or service, down to the middlemen and to the final consumers. Ayaya Media is very excited to strengthen their muscle and be the middlemen between artiste, their music and the fans. Thus creating an avenue for celebrities to share their experiences, music and ultimate journey to stardom with the fans who are curious to know a bit more about them. #AyayaChatLounge offers a 1-hour chat session with celebrities across all genres of entertainment. 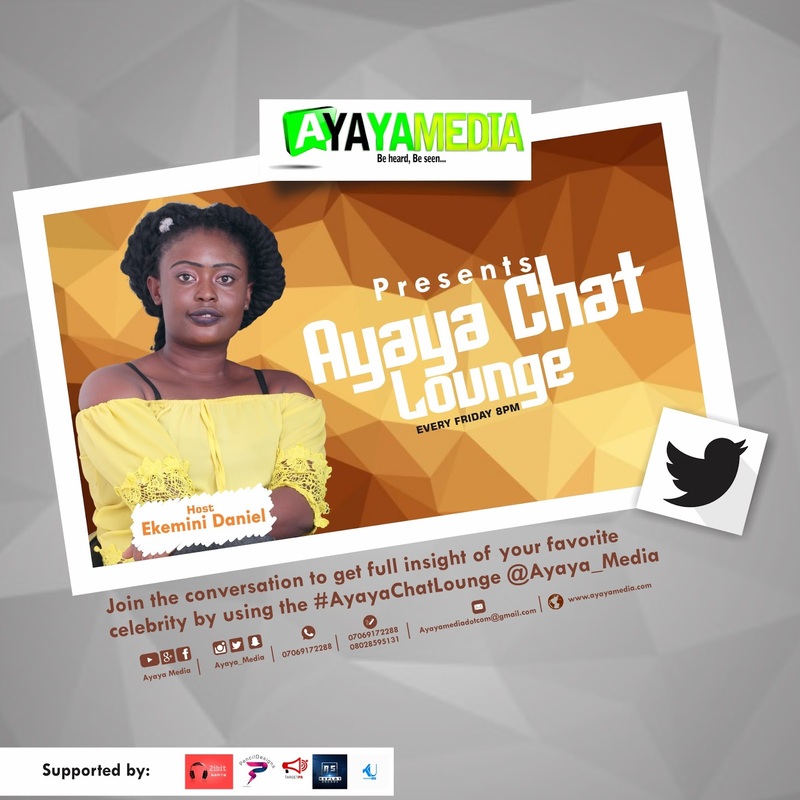 The chat will be conducted via our twitter handle @Ayaya_Media with the hashtag #AyayaChatLounge by 8pm with Ekemini Daniel as the host.